Collage Chamber Series: Alle Brahms! CVPA >> Events >> Collage Chamber Series: Alle Brahms! 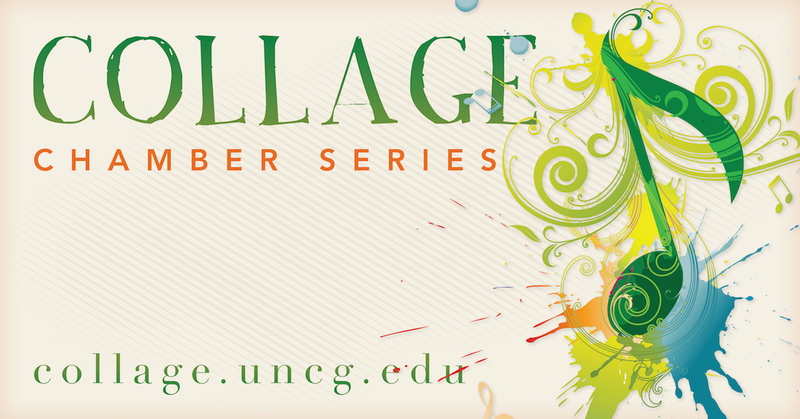 The Collage Chamber Series features the UNCG School of Music faculty in three concerts on campus in the School of Music Recital Hall and a fourth concert off campus. Concerts are one hour in length, modeled after the variety of repertoire and performers used in our large scale Collage concert presented every September, including a wide representation of both instrumental and vocal small scale works. All proceeds from ticket sales benefit the Collage Music Scholarship Fund.